Download and install Juicy Stakes Poker: Go to the Juicy Stakes home page by clicking the download button below. Once there, download and install the Juicy Stakes Poker software. Update: Juicy Stakes is now offering qualifying players cashouts with a reduced fee of $50. Read more here. Juicy Stakes Poker is guaranteeing withdrawals of $1,000 per week per player. The minimum amount that can be withdrawn is $250 and the maximum $1,000. However, all cash outs currently have a $100 fee attached to them meaning you will receive $100 less than the amount you request. Please keep this in mind when choosing whether or not to deposit on Juicy Stakes. Once the withdrawal limits have been raised and fees lowered we will notify players accordingly. Create Your Juicy Stakes Poker Account: After you click through our link and download the JSP software, you will be prompted to create your account. Be sure to enter the code THENUTS in the section entitled How did you hear about us? in the box 'Referral Details'. After you create your Juicy Stakes Poker account it is important to submit your screen name to TheNuts so that we can track your statistics. Juicy Stakes offers timely payouts to players around the world, however, there are associated fees. 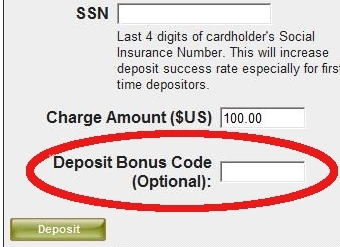 We recommend familiarizing yourself with the current withdrawal options prior to making a deposit. If you have any questions don't hesitate to contact us. Players that sign-up through TheNuts on Juicy Stakes Poker will receive 36% rakeback, and a 200% up to $1,000 sign-up bonus.